After the 1941 Farhud and during the subsequent years Husseini was on Hitler’s payroll, the Mufti of Jerusalem toured European concentration camps and intervened at the highest levels to send European children to death camps in occupied Poland rather than see them rescued them into Mandate Palestine. In his diary, Husseini called Adolf Eichmann “a rare diamond.” What’s more, the tens of thousands of Nazified Arabs who fought in three Waffen SS Divisions in the Balkans and across all of Europe, were fighting for a Palestine and a greater Middle East Arab cause that hinged on Jewish extermination and colonial upheaval. When I wrote The Farhud in 2010, the focus was on excavating the details of a forgotten pogrom and a forgotten Nazi alliance. Only in recent years has a renewed trickle of excellent scholarship yielded gripping new research into the Arab role in the Holocaust. For example, there is Islam and Nazi Germany’s War, which The Wall Street Journal reviewed as “impeccably researched.” A second book, Nazis, Islamists, and the Making of the Modern Middle East, by meticulous Arab and Turkish culture researcher Wolfgang Schwanitz, was published by Yale University Press. There are several excellent others. In that vein, the day before the June 1, 2015 UN event, one prominent Jewish newspaper published an article on the Farhud, which included this observation: “Now, Jewish organizations and the Israeli government deploy it [memory of the Farhud] frequently to support their claims for refugee recognition on behalf of Middle Eastern Jews.” Before the UN ceremony, three different irate members of the audience showed me this article on their tablets, and the consensus of disdain was expressed by one Sephardic gentleman who objected, first quoting the newspaper with derision: "'Deploy it frequently to support their claims for refugee recognition on behalf of Middle Eastern Jews?'" and then adding, “They would never say such a thing about the European Kristallnacht!” The complainers were equally astonished that this prominent article made no mention of the Mufti of Jerusalem. They felt the complete omission of Husseini’s involvement and the marginalization of their nightmare was typical of the roadblocks they had encountered during their decades-long struggle for recognition of their anguish. All they wanted was to be remembered -- to change the headline on their suffering from “the forgotten pogrom” to “the not forgotten pogrom.” All they wanted was to draw back the curtain of their sorrow without an asterisk, without a parenthetical, without a “but also” or a “however” or a political catchphrase to qualify or filter their disconsolation. In short, they wanted to take their place in the annals of misery for the same reason all other Jews gather into that space: so they can help whisper endlessly the words “never again” as a beacon to humanity. Key among the responsible parties was Alyza Lewin who had successfully coordinated a UN event on UNRWA some months earlier. The two organizations she represented, the American Association of Jewish Lawyers and Jurists and the International Association of Jewish Lawyers and Jurists, combined the heft of their juridical grasp of international law and human rights abuses to inject the needed gravitas and perspective. Rabbi Elie Abadie, born in Beirut, heads up Justice for Jews from Arab Countries and has long been a warrior for recognition of both the Farhud and the unrecognized and forgotten nightmare of 850,000 to 900,000 Jewish refugees from Arab countries. 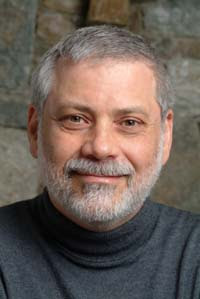 When he agreed to be program moderator, Rabbi Abadie imbued the effort with the long overlooked activist fire needed to fuel the effort. Maurice Shohet, as head of the World Organization of Jews from Iraq added the indispensable historical sinew to the survivor and descendant community. His dignity and intrinsic epicentral voice was listened to at all times as the program was developed. StandWithUs, as America’s pre-eminent Jewish and Israel defense organization, was not new to the topic. For years, its president Roz Rothstein had elevated the Farhud and the related forced expulsion of Jews from Arab Lands to a prominent place in the constellation of StandWithUs causes.